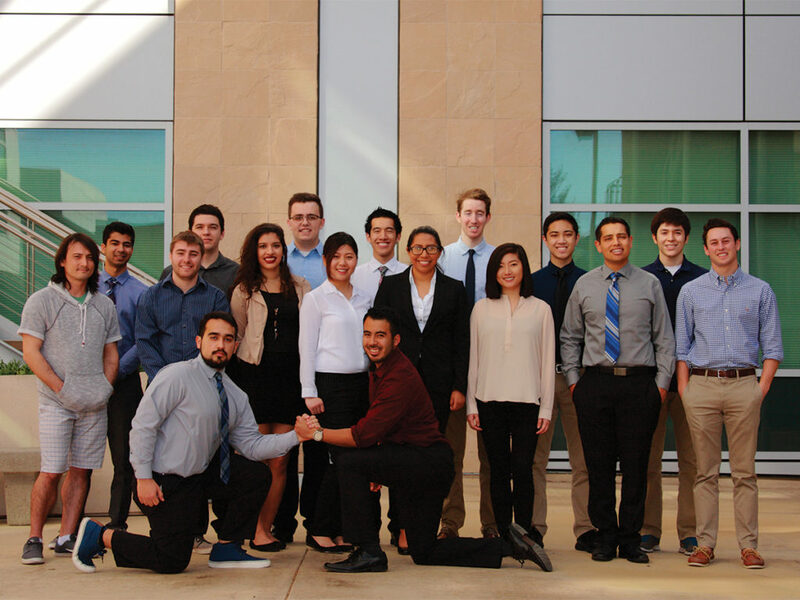 Aerospace Systems at UCR is pushing the boundaries of aerospace studies and aiming for glory at the summer 2017 IREC Spaceport America Cup. Convening in a medium-sized study room on the first floor of Orbach library on Friday (their regular meeting day), May 12, a passionate group of college students were intently discussing the expansion of the only student-run aerospace organization on campus — Aerospace Systems — going over their tabling efforts, then spotlighting a few members who had contributed above and beyond that week. Because at the end of the day, the purpose of this club is to unite people to achieve a common goal that can’t be achieved alone. 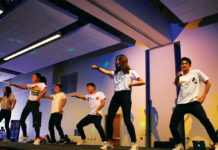 Most of all, the club opens its arms to people from every discipline by ensuring that each member has their own niche tuned to their capabilities and interests. 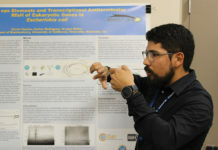 Chief engineer and fourth-year mechanical engineering major Roberto Hernandez expressed that an objective of the organization is “to get people at UCR involved and exposed to aerospace, and that means to get people of all majors involved. It’s a human effort.” Fourth-year mechanical engineering major Jenny Martinez added, “There’s not many female engineers, so it’s cool to see other young girls interesting in something they thought they were not capable of doing.” From glancing around the table, the constituency contained a nearly even ratio of male to female students. Members are truly in their element on their weekend work days, when not only the manufacturing of the rocket takes place but also marketing and outreach projects are collaborated on. 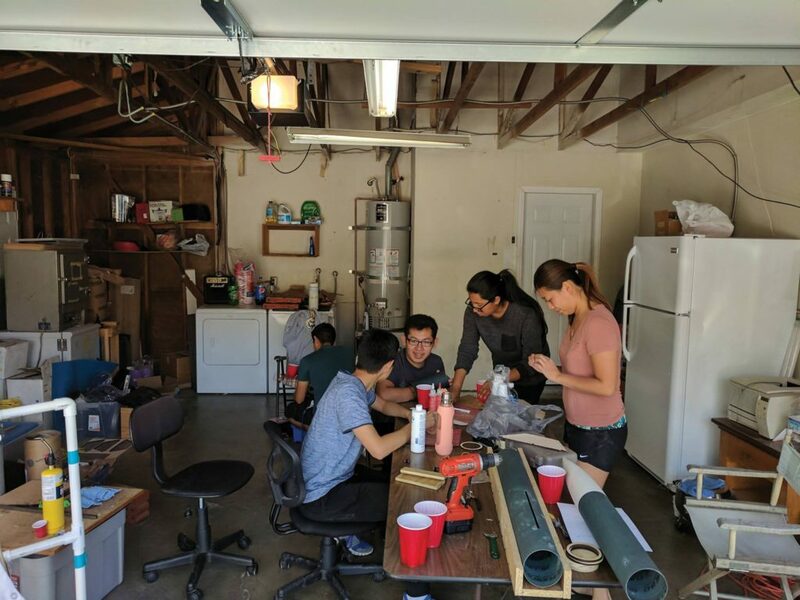 Currently, the team is working on a project for the IREC Spaceport America Cup, which, according to their GoFundMe page, “is the largest intercollegiate rocket-engineering competition in the nation” and will assess a rocket that has been manufactured by a team of students based on a variety of factors, such as performance, how well it flies and the design. This is the first year that UCR will be competing, and according to upcoming avionics and controls lead and second-year mechanical engineering major Ryan Balleza, “this is the year we make a statement, make a name and legitimize ourselves as an organization.” Controls and avionics lead and third-year mechanical engineering major Andres Sanchez Paredes described how UCR stands out in the competition: Because “all of the other schools have tons of money dumped onto them, such as UCI, who received a $1 million grant. 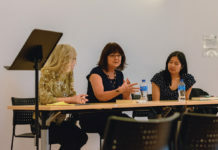 With us, we only have scraps and bits of money from our GoFundMe and ASUCR.” Hernandez wanted to also dedicate much of their appreciation to BCEO for offering them “lots of support, odd jobs and a community,” even though they are not a BCEO-affiliated organization. You can visit Aerospace Systems’s GoFundMe page at https://www.gofundme.com/AerospaceSystemsUCR, as well as their Facebook and HighlanderLink at “Aerospace Systems UCR.” Their newly renovated website is http://aerospacesystems.weebly.com/.